I gravitate to trees. I can think of at least 3 places I’ve lived where loving the tree preceeded picking the home or apt. The one in front of our place now gives it a special charm that I enjoy every day, especially when I need to refresh. Trees are calming, mystical and magical and bring a sense of peace to any trying time. I also gravitate to forests and began seeing faces in the trees. It came all of a sudden right before twilight in one park and I wasn’t the only one seeing all of them. My family did as well. I started taking pictures as fast as my camera would shoot and the faces were around every corner. It has just continued from there and they have initiated me as a ‘keeper of the dark wooded places’ and I humbly accept. It really is true, the woods breathe life into you and you to them. For all of existence humans and the trees have had a special and even spiritual relationship. It is said that the first place man went upon leaving the oceans was up into the trees. Trees offered shelter, food and warmth. Trees became our allies in nature and the Native Americans Indians call them, “Our standing brothers and sisters”. Trees formed an important part of religious worship and many Sacred Groves served as religious centers throughout the world. Trees also formed an important part of Celtic worship. Druids love trees and often visit trees and woods to meditate there, hold ceremonies, or simply commune with Nature. Most Druids support tree-planting and reforestation programmes. Today, those who study as Ovates within Druidry learn to work with the powers of Nature – they learn the Ogham and come to know the trees as living Beings with their own medicines and gifts. Ogham – the Tree Alphabet of the Druids. It consists of twenty-five simple strokes centred on or branching off a central line. The Ogham can also be used for divination. There is also a Tree calendar of thirteen months, since both Caesar and Pliny reported that the Druids divided their year into lunar months. 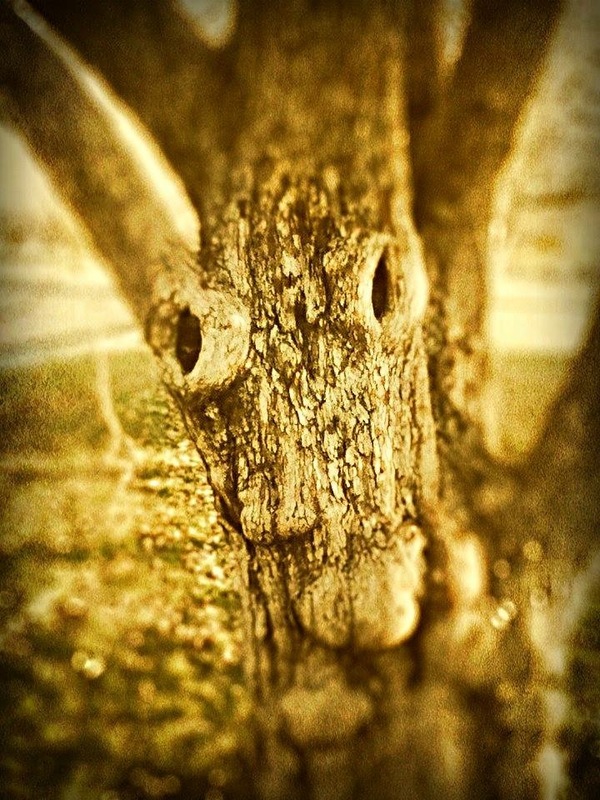 A tree spirit is a type of nature spirit, and effectively the “living soul” of a tree. It has much in the way of wisdom and healing to offer those who are willing to listen and absorb. As with faeries, they are visible to those with psychic awareness, and appear in varying forms depending on the type of tree they reside within. Tree spirits are ghostly and otherworldly, often glimpsed out of the corner of the eye in a darkened wood or a flash of sunlight through the forest canopy. Dryads, tree wights or wood nymphs, and many other elements of the Fae are associated with trees, from the Green Man to the eternal seasonal battle between the Oak King and the Holly King. The tree has always been associated with wisdom and immortality. In Greek mythology, the dryads are female spirits of nature (nymphs), who preside over the groves and forests. Each one is born with a certain tree over which she watches, should the tree perish, then she dies with it. If this is caused by a mortal, the gods will punish him for that deed. The dryads themselves will also punish any thoughtless mortal who would somehow injure the trees. In Scottish folklore the Ghillie Dhu or Gille Dubh was a solitary male faerie. He was kindly and reticent yet sometimes wild in character but had a gentle devotion to children. Dark haired and clothed in leaves and moss, he lived in a birch wood within the Gairloch and Loch a Druing area of the north-west highlands of Scotland. Wind Whispering is a form of tree magic. To do it, simply lie beneath a tree with a question in your head. Let yourself drift into a quiet wondering, the question always in your mind, and then focus on the wind moving through the tree’s leaves. After a time, it is said that the stirrings will resolve themselves into softly spoken words, and the answer to your question will be made clear. Another simple tree spell is to sit with your back against a strong tree when you’re tired out or are feeling ill. You sit until the bark pressing into your back no longer feels like pain, and you feel yourself sinking back into the tree’s flesh. Then feel the power of the earth being drawn up through the tree’s roots, nourishing not only the tree, but filling your body as well. Soon you’ll feel a powerful vitality flooding through you, and when you rise to your feet again, you’ll find that you’re ready to conquer anything! Trees have been considered to be magickal for many centuries. They have been the homes of wood spirits and the keepers of sacred circles. These were places witches met and were filled with much power. For the Wiccan or Neo-Pagan trees are a source of power because they are rooted in the Mother Earth and they reach to the heavens. This is the essential posture we humans seek in trying to reach a state of balance.